Mr Max Factor was the name on everyone’s lips during Hollywood’s Golden Age, literally. The visionary makeup artist, wig-maker and inventor was renowned for his signature looks on the silver screen stars, and sooner rather than later, his talent was quickly sought-after. Luckily enough, Max Factor believed that all women should be able to dabble in the world of glamour. In 1916, his eyeshadows and eyebrow pencils were the first products available to buy outside of the movie industry. Four years later, he had released a full range of cosmetics, calling it ‘make-up’. From the first ever concealer stick in 1954 to false lash effect mascara in 2009, Max Factor’s list of firsts is applaudable. For 100 years now, the Max Factor brand has combined science and makeup artistry in order to create market-leading products that are simply iconic. 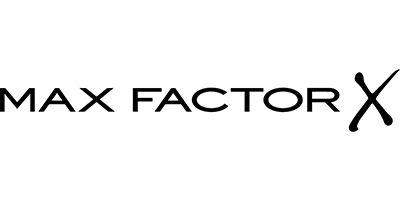 Now you can shop a range boasting everything from foundation to eyeliner, eyeshadow and lip gloss as Max Factor puts the transformative tools into the hands of every woman. Create your own personal glamour statement every day.